Well we’re almost at the end of another Semester in Scotland term, and as I look back on the last few months I can’t believe the amount we have managed to cram in. 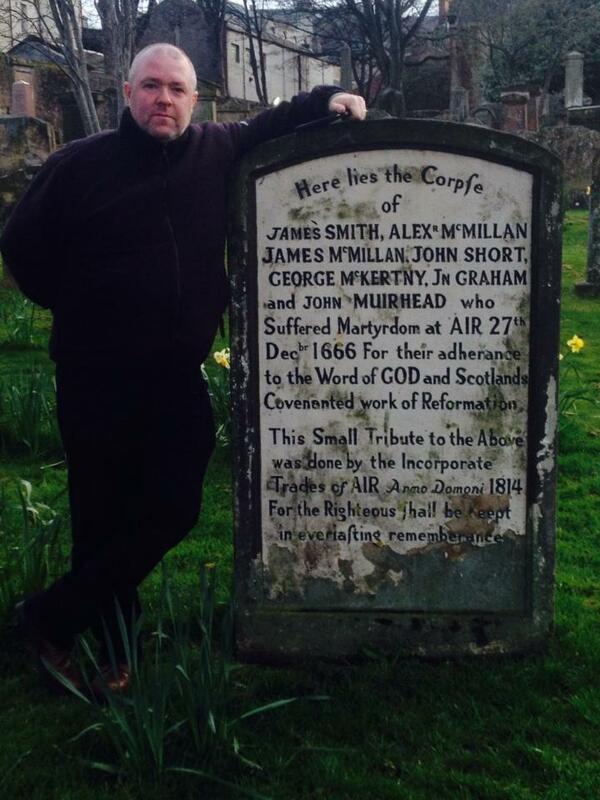 We covered the history in the classroom before hitting the road and walking in the footsteps of the Covenanters and Reformers we had read about. 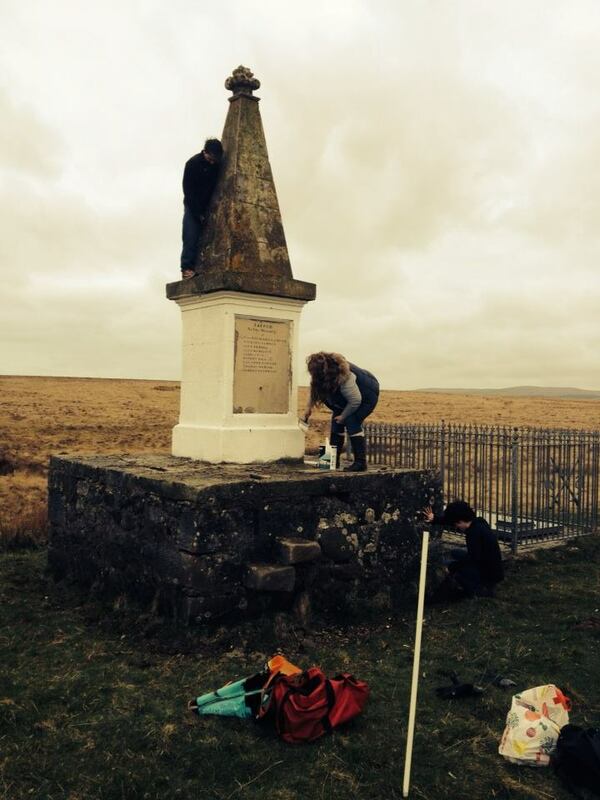 We’ve stood where they stood, tramped the same hills and moors they did, and found their graves and monuments (even cleaning and painting them). It was really a great time of learning and growing. When you add all that to our Wednesday afternoon cultural outings which have included castles, museums, battlefields, the Highlands, and much, much more, we really have covered a lot this semester. But more importantly the greatest thing I’ve enjoyed is watching these two young men grow, not only in their knowledge of the Reformation and Covenanters and how God worked in Scotland in the past, but in their knowledge of God Himself. From the many hours we have spent together in the classroom and travelling around Scotland and the conversations that we’ve had, it is clear the Lord has been working on both their hearts. And I pray as they prepare to go back home and move on to the next stage in their lives, wherever and whatever that may be, that they will go back with memories of Scotland that will be with them for the rest of their lives. And just as the Covenanters and the Reformers did, that they too will learn to put their faith in the Lord and to trust Him to guide them wherever He will have them go. The gray skies cast a charcoal hue over the landscape, whilst a crisp breeze flowed without restraint over the fields, carrying with it a light mist. Quietness whispered solemnity. History had been made on this ground. Bloody history. The lonely, half-naked monument, erected in memory to that event stood before us. Neglect was written all over its face. Its paint was nearly gone, its rock chipped, and moss was growing freely over its face. And so we set to work. Paintbrushes in hand, we mounted the centuries-old structure and sought to re-erect the memory of the blood shedding that occurred on this ground. 335 years before, on this spot, the landscape was not very different from what it now appears, but that was all that was the same. Here, horses had prodded lightly across the open field. A band of sixty men – men of resolve, righteousness, and devotion – inched their way across the moss. Muskets, swords, and Bibles were their instruments of war, and their cause was none other than the cause of Christ. Heaven and its dealings with Scotland rode upon each of their shoulders. It is no surprise that each footfall carried the weight of eternity behind it. They were a remnant, a people left physically tattered and rent, but strong in the King that was the rightful heir of all things, the true King of kings. In the midst of this band was a minister, deposed from any ordinary charge due to his loyalty to the Christ whom he loved above life, and for that love, was hunted and desired to be killed by multitudes. Cameron was accompanied by his brother, Michael, and was under the military care of a like-minded commander, David Hackston, with sixty other Covenanters. Richard Cameron, the minister, had left the farm in the west of the moss with the clear knowledge that this last ride would be his final on this side of glory – thus, he and his men were trotting into the threshold of eternity. As they crested the small hill, on a road a few hundred yards before them, red-cladded dragoons came into view. The commander, experienced and resolved to die if dying be required, ordered the footmen with them to form a line and meet the enemy first, giving time for the horsemen to form themselves into a stronger defensive position with their anointed minister protected in the center. Before the battle commenced, however, Reverend Cameron lifted his hands toward heaven and thrice besought the throne of Grace to “spare the green and take the ripe.” The footmen were quickly caught and overrun by the superior numbers that rode into them, leaving the horsemen open to the savage attack of the fast approaching soldiers without aid. Cameron, turning to his brother, said, “Michael, come, let us fight it out to the last! For this is the day that I have longed for, and the death that I have prayed for, to die fighting against our Lord’s enemies; and this is the day that we will get the crown.” To the rest, ready to fall under the fire and swords of the horde, he cried, “Be encouraged all of you, to fight it out valiantly; for all of you that shall fall this day, I see Heaven’s gates cast wide open to receive them.” At last the battle enveloped the horsemen and the Rev. Cameron was killed almost immediately, with his brother shortly thereafter. All of that played in my mind, and whilst upon the monument, I could see the moss in all of its vast flatness, and at my feet, the grave of those fallen that day – Reverend Cameron and his brother interred together. This battle, had it been won, and had the Covenanters returned Scotland to its past glorious state of Reformation, the nation, Britain, and the West would be a very different place. It would be a place where men feared God. A place where men would be forced to recognize Christ as the true King of Kings, and thus, apply His laws as the laws of the land. Thus, the import of this battle transcends history. It touches both sides of the Atlantic, indeed, it reckons with the whole world, and so, this battle was, for all intents and purposes, a battle for the soul of the west. And it was lost. The five of us chipped away old paint to reapply a new coat. Moss was stripped away. Scripture was read. 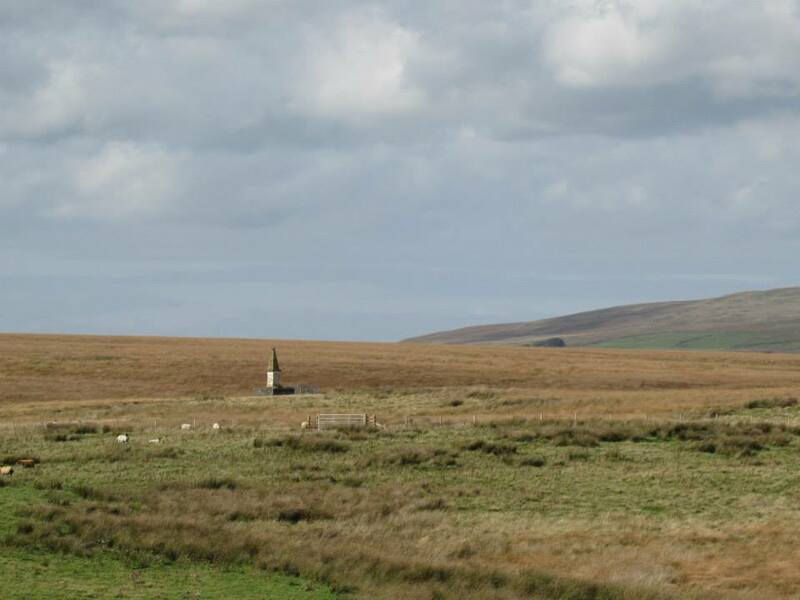 At last, the monument could be clearly seen shining brightly over the moss, as it should, for the spiritual consequences of what occurred here are worthy of remembering. 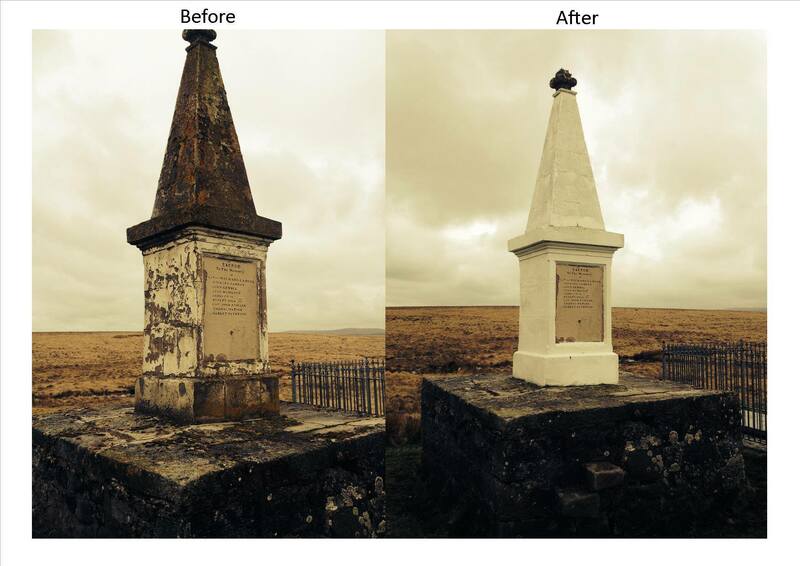 The neglect of this monument speaks volumes of the greater problem of rebellion that pervades our present society. Oh that Zion would repent in dust and ashes! Oh that this world would beseech Heaven for turning upon such a gracious and holy testimony! “First, that you are accountable to God for your time. Time is a talent given us by God; he hath set us our day; and it is not for nothing. Our day was appointed for some work; therefore he will, at the day’s end, call us to an account. We must give account to him of the improvement of all our time. We are God’s servants; as a servant is accountable to his master, how he spends his time when he is sent forth to work, so are we accountable to God. If men would aright consider this, and keep it in mind, would they not improve their time otherwise than they do? Would you not behave otherwise than you do, if you considered with yourselves every morning, that you must give an account to God, how you shall have spent that day? And if you considered with yourselves, at the beginning of every evening, that you must give an account to God, how you shall have spent that evening? Christ hath told us, that “for every idle word which men speak they shall give account in the day of judgment,” Mat. 12:36. How well, therefore, may we conclude, that we must give an account of all our idle misspent time!” A quote from Jonathan Edwards from his sermon on Ephesians 5:16 which is titled “The Preciousness of Time and the Importance of Redeeming It”. Social media is a wonderful invention but it can also be a terrible invention if it’s abused. Facebook and Twitter can be used to communicate with friends and family. Instagram can be used to share pictures with friends, family, and even random people on Instagram. These sound like great reasons to be on social media, right? Well, these reasons definitely are good reasons to be on social media but are they the reasons why we spend so much time on our smartphones, tablets, and laptops on social media? Social media, just like all good things, has the risk of being abused. When we abuse social media, we end up wasting hours away just aimlessly scrolling through our newsfeeds. As Christians, we must practice the discipline of stewardship. Stewardship does not only pertain to the management of time. It can also pertain to the management of any resource such as finances, food, or any other necessary resource. The official definition from the Merriam-Webster Dictionary is the activity or job of protecting and being responsible for something. In this blog post, I am going to talk about the management of time. I am going to talk about Ephesians 5:16. Ephesians 5:16, “Redeeming the time, because the days are evil.” What did Paul mean by this? In his commentary on Ephesians, Matthew Henry states that this verse is a metaphor taken from merchants and traders who are very diligent about looking for new ways to improve their trading. Henry goes on to state that our time is talent that is given to us from God and is misspent and abused when we employ in a way that is not according to His design. We only have one life on this earth so it is extremely important to always look for ways to redeem the time we have given to us by God. How can we improve the use of our time? In order to answer this question, I will go back to the sermon of Jonathan Edwards. At the end of this sermon, Edwards gives three ways to improve the use of time. First, he suggests beginning to improve our time immediately because the longer we wait, the more time we waste. Secondly, he suggests improving the use of time on things that are most precious to us. Edwards suggests that we need to improve our time spent worshipping the Lord and the way we spend our time on the Sabbath. I believe that we should all start by improving on how we worship our Lord. We should all work to be in prayer more and to read our Bibles daily. Finally the last thing that Edwards speaks about is improving on how we spend out leisure time. He warns us that we should not spend our leisure time in a way that is unprofitable or in a way that we would not want to give an account to God. I believe that leisure time is a wonderful thing but we must be careful how spend it. We must be careful to take care of the important things in life, such as school work or monthly bills, before we go out and spend time with friends. During my time in Scotland, I have realized how important it is that we spend our time wisely. We only have one life on this earth so let us not waste it on social media or senseless leisure time. We need to be more diligent on how we spend our time. I pray that we can work to redeem the time in a way that glorifies our God.